Thankfully she wrote it on a slip of paper, so I could look at it right before I ordered. Ja had guided me around Bangkok my first few days there, but now I was on my own. I had walked by a street vendor near my apartment a few times, and a crowd was always sitting in the red metal chairs to prove that this Thai street food vendor was doing something right. I decided that this would be the spot where I would order my first Thai dish by speaking Thai, all by myself. I quickly read the now crumpled piece of paper with the magic words before approaching the cute, skinny, older Thai cook. I said, “Khaw pad gai,” to her as clearly as a week-old, ex-pat living in Bangkok could, and sat down. I wasn’t too worried about maybe saying it wrong and getting the wrong dish, since I hadn’t found a Thai dish I didn’t like yet. But I wanted to feel like maybe I was fitting in to my new life by ordering lunch all by myself like a big girl. After a few minutes, she brought me a white plastic flowered plate heaped with rice, chicken, tomatoes, green onion and egg bits all mixed together and held in a tight embrace with cilantro, lime, fish sauce, a bit of sugar and some Thai peppers I sprinkled on top. Cucumber slices decorated the edge along with a metal fork and spoon. I smiled with contentment and ate every spoonful very slowly just to savor my first score in Bangkok street food. Then when I got up to leave I asked the woman, “How much?” I expected her to say 30 baht ($1-ish) because that was what I usually paid for street food. “20 baht,” she said in broken English and gave me a huge smile like she thought I was the cutest, clueless foreigner ever and wanted to give me a break. I smiled back, dropped her the 20 baht and became a regular from that day on. And today not only can I say khaw pad gai without thinking, but I can cook it too. Khaw pad gai is simple, and perfect if you have leftover rice, veggies or meat from the night before and want to revitalize it. I love to add some spice to it through naam plaa prick (read about it in the recipe), but you can have it spice free as well. Let me know what you think, and don’t forget to pin it up for next time! 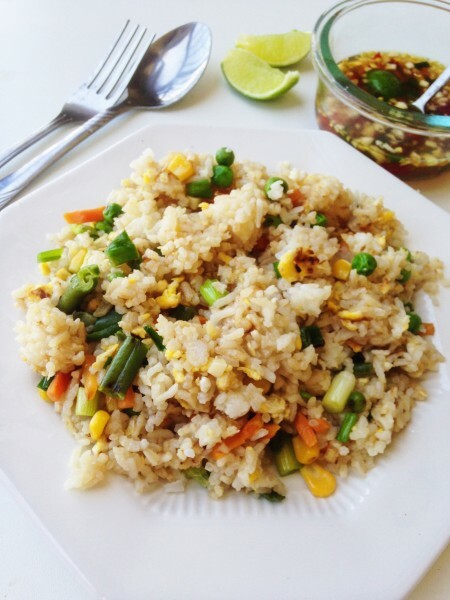 Love how heart-warming and quick and easy Thai fried rice is! All you need is some leftover rice, veggies and meat from your fridge, and you have a yummy, delicious meal in minutes! Add a few teaspoons of cooking oil to your wok. Throw in the onion and garlic and saute until soft, and you smell a delicious aroma. Add the eggs to the wok. Let them set and, then scramble them a bit. Then add the chicken, or whatever meat you chose, and stir-fry until it's almost cooked through. Add whatever veggies you are using, and stir-fry until veggies and meat are cooked. I like to take out everything that is in the wok at this point, and set it on a plate, so the rice can be stir-fried on it's own. The rice stays dry and doesn't get gooey the less you have in your wok when stir-frying it. Add a few more teaspoons of oil to your wok. Make sure you have broken up the rice, so it isn't in one huge clump. Then add it to the wok. Stir-fry until it's warmed through, and some of it is crisping up. Add your soy sauces and sugar to taste, along with the chicken and veggies. Turn off the heat and mix in your green onion and dash some pepper powder in it as well. Then make it pretty by adding a sprinkle of cilantro on top, and two or so lime wedges and cucumber slices on the side of each plate. Feel free to use any kind of meat or seafood you prefer. Or to make it vegetarian, leave out the meat and add in some tofu, or have it as is. Sometimes I like to add Thai chili sauce or some put ketchup in the fried rice at the end to give it a little more color and spice, but that's up to you. If you want to be truly authentic, serve it with naam pla prik--a mixture of fish sauce, lime and diced Thai chilis put in a small bowl for you to add more spice and flavor at your own pleasure. If you find that the rice isn't tasting savory enough after adding your sauces, I like to add a little salt instead of adding more sauce because it helps keep the rice dry. The more sauce you add, there is more moisture, so the rice might clump and goop together. Here is a Pinteresty pin for you! Cool site. 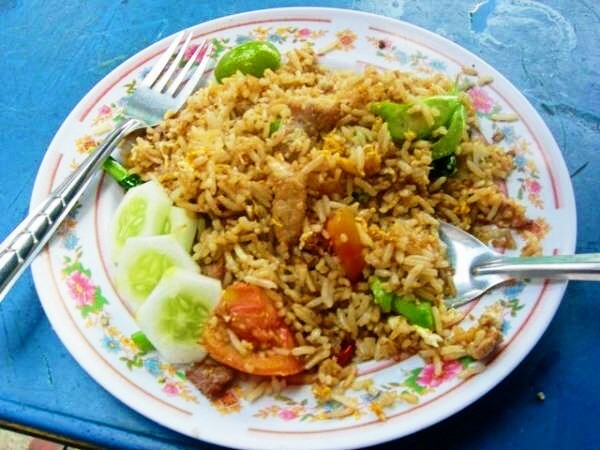 I have tried to cook Thai at home several times, but all were failed attempts. I even took a cooking class in Thailand! Thanks for reading Bryan! It is tricky to get the right flavors, but I hope this site can help you! 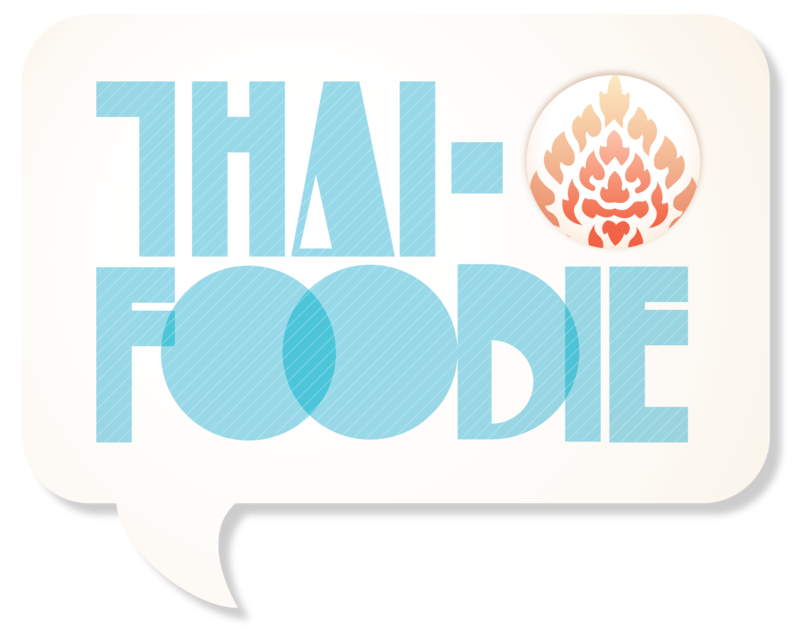 If you have any questions about cooking Thai let me know! I made this to compliment your Ginger Chicken recipe, and man was this packed full of flavor! I used shrimp instead of chicken and it was perfect! I’m so glad you enjoyed it Rochelle! Shrimp is great in this recipe as well! Good choice! I love this recipe so much! It’s the closest I’ve found to tasting like the street food in the town I was stationed to teach in. Do you by any chance have a good pad ka pao recipe? (I’m probably spelling that wrong.) I’ve been trying to find a good one but I can’t quite get it right. Thanks for your sweet comment Brittani! 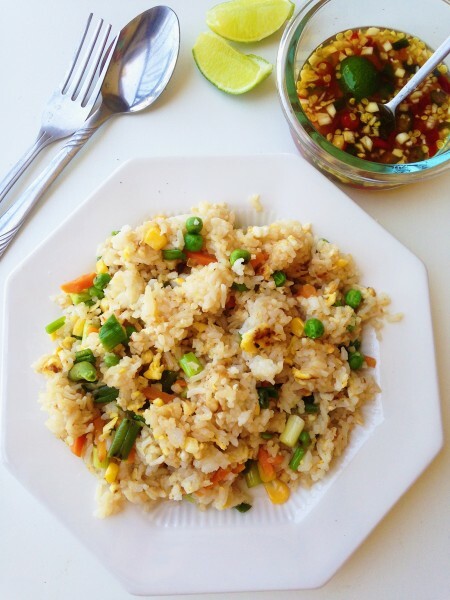 I’m so glad the thai fried rice recipe brought you back to a special time! 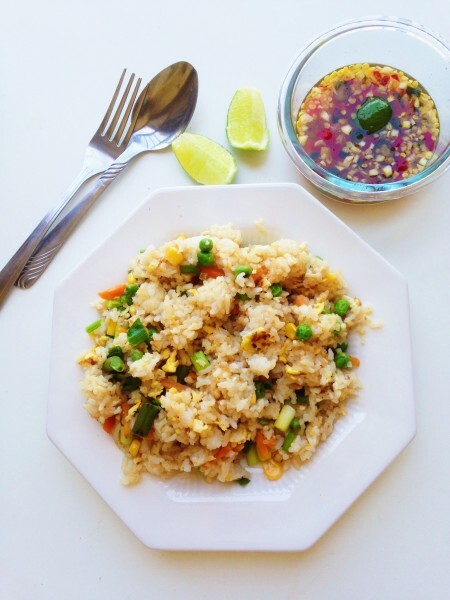 This is my Pad Krapaw Gai recipe and I hope it helps you make the dish you miss! This is cool. Thai cooking for me was always little tough to go with. This dish doesn’t seem that complicated. It looks delicious and complete. Maybe I should try it soon.